Parents PLEASE get your kid to write a letter to Santa and drop it off at the nearest Macys for every letter they receive they will donate $1 to the Make a Wish Foundation, even if you can’t donate money one letter can help make a childs wish come true! Last day to write a letter is December 24!! 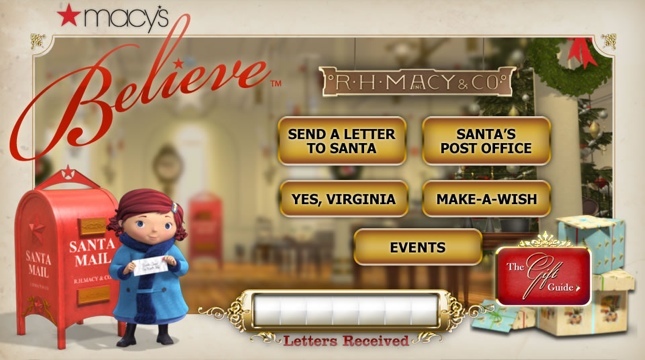 Or you can go to www.macys.com and you can “mail” your letter on the computer and they still donate $1 to the Make a Wish Foundation!! Photo taken off the Macy’s website. miles to them in hopes that it will help some family out there. Sending lots of best wishes and love to you both!